His name is Mario Berracus. 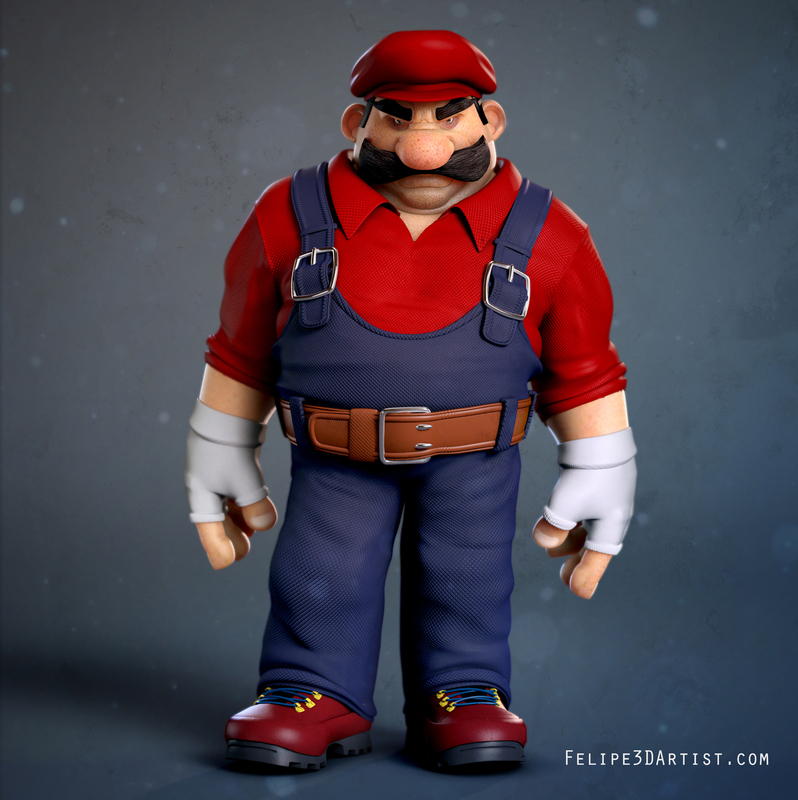 This character is a representation that I designed of Mario Bros. I use 3Ds max for the polygonal modeling, zbrush and photoshop for texturing and Vray for ilumination.